I spent a few days last week in Brisbane with my sister, Anne. 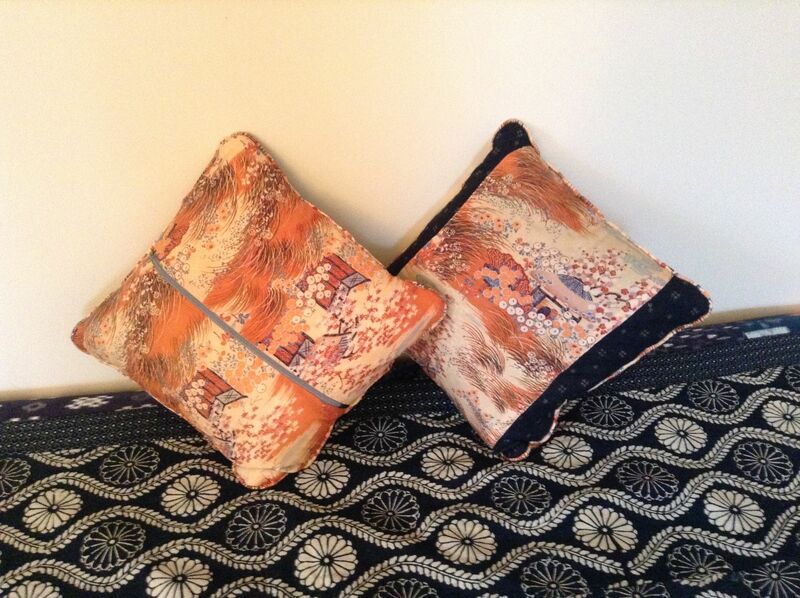 She had recently attended a cushion making workshop and I asked her to teach me using my vintage kimono silk. After several hours work we ended up with this gorgeous pair of cushions!